Introducing our newest arrival; The guide to referral success for children's retailers. The internet has become a haven for parenting related social communities and chat forums, for obvious reasons. Parenthood (especially first timearound) can be a daunting and challenging experience. In the absence of a straightforward rulebook, seeking out answers, reassurance and validation from fellow parents online, has become the norm — in relation to all aspects of parenting, including consumer habits. 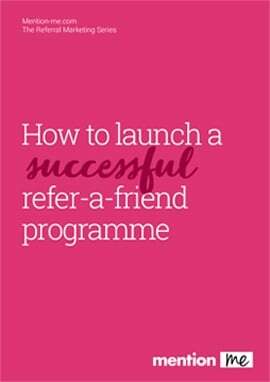 In our latest guide, we look at how referral programmes in the children' sector are the perfect way to harness this quest for social proof. You can download your Guide to Referrals in the Children's Sector here.